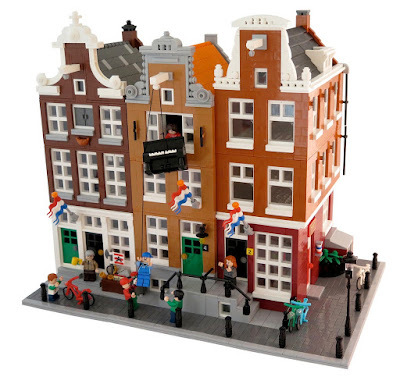 LEGO Fan and flickr.com member Brickbink shared this amazing Amsterdam street diorama in his photo-stream. The official modular buildings theme of LEGO is one of my favorite themes so I like this MOC very much. 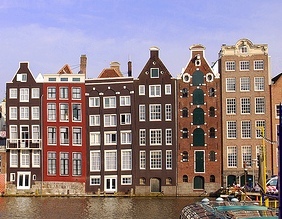 The creator catches the iconic look of the real buildings of Amsterdam very well. The roof sections with white/gray frames look very realistic. Also the minifigures in action add life to the scene as well.